We all aspire to provide a good life for our families, especially for our children. It’s the reason why parents labor throughout the day, not only to put food on the table and send their kids to school but to afford to indulge them in some of life’s luxuries. Not everyone is financially well-off, though, no matter how hard they work. Different factors determine your status in life but if you are someone who has more than what your family needs, wouldn’t you feel better to share some of your blessings to the less fortunate? Others don’t feel obligated to be generous to others but there are people who always feel compelled to give either out of pity or compassion. Whatever your reason is, you can’t deny how good it feels to brighten someone’s day or be able to make a difference in someone’s life. Whether you share in cash or in kind, what matters most is that you share the joy of giving and make a positive impact in a world that is increasingly hard to live in. For the third straight year, Americans have hit a record high in their giving to good causes. Last year, according to a Giving Institute survey released June 13, donations or grants by individuals and philanthropies totaled $390 billion. The biggest increase, or 6 percent, went to animal-welfare and environmental groups. Yet these measurements of altruism have a new problem. More people are not limiting the idea of supporting good causes to only charities, churches, or other nonprofits. In the past decade, another type of giving – called “impact investing” – has taken off. This involves people putting their values into action through financing of for-profit companies involved in social causes, from reforestation to prisoner rehabilitation – while also accepting smaller returns than other investments. 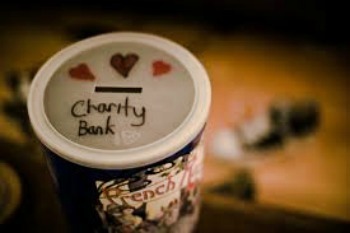 Donations, big or small, have a big impact on the recipient of your goodwill. If you live in a progressive nation like America, you have not seen the extent of the problem with poverty that is faced by the rest of the world. Sure, you come across several homeless people in your commute to school or work but their condition is so much better than the poor citizens of Africa, perhaps, who are stick-thin as their country is ravaged by famine for a long time now. By sharing what little you have, these resources become a lot when pooled together along with the donations of like-minded individuals like you. Women increasingly have the wherewithal to give — and the inclination to give it. Yet there are gender differences between men’s and women’s philanthropic giving. Men are more likely to have personal and practical reasons for giving — to get a tax deduction, for example. They’re also more likely to focus their giving on fewer causes and to write a check. Women tend to get involved. Among married couples, about 75 percent make joint decisions regarding charitable giving. But that proportion drops to about 50 percent in high-net-worth households, where women are more likely to make their own decisions and to be more strategic. So how can women make the most of their giving? First off, remember that charity begins at home — or, as Thomas puts it, “you need to get your life in order before you can afford to give to others.” Keep track of your giving, and take advantage of tax breaks. The reason women are more likely to give to others is that of their loving maternal nature. In the US, you not only help the less fortunate in life with your donation but you also lighten your financial burden because of tax breaks offered by the government. So, take advantage of it. The extent of the poverty we are dealing with now may be beyond belief but it is not impossible to put an end to it if everyone works side by side in eradicating it for good by the sheer act of charity. If humans are capable of pushing technology forward to the level that it is now, we have a fighting chance of succeeding in this endeavor if we don’t let greed temporarily blind us to what is just and right.